"The symmetry of Longfellow's life and genius forms a strong contrast to the somewhat strait limits of Whittier's culture. The poetic taste that lived for eighteen years in the 'spells' of farm work, shoemaking, and 'schooling' that made up his life in a New England village?the fancy that found play in Quaker history and Indian superstition?had need to be strong as well as peculiar. Whittier was a characteristic product of New England influences, and he has been their worthiest poet. Upright, patriotic and talented, the man has had the rare fortune of remaining unsophisticated in life, manners, and verse. 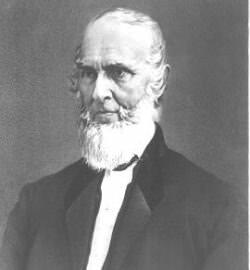 [Whittier] was born in 1807, of Quaker parentage, in Haverhill, Mass. His literary career began with journalism in Boston in 1829, and was continued in Hartford, Haverhill, Philadelphia, and Washington until 1847. His early poems, Mogg Megone (1836) and the Burial of Pennacook, are Indian stories derived from early colonial records, and adorned with some of Whittier's most beautiful descriptions of scenery. From the very first he was an outspoken and ardent supporter of the anti-slavery movement. The signing of his name to the Anti-slavery Declaration in 1833 seems to have been a kind of dedication of his muse to the cause which he believed inseparable from justice and humanity. Until the close of the Civil War he was busy in writing and publishing in newspapers, magazines, and books the series of stirring lyrics and moral denunciations whose titles tell their own story: Voices of Freedom (1841), The Panorama, and other Poems (1856), In War-Time (1863). The inspiration of his poetry after the Civil War has been the beauty of New England's scenery, the sober charm of her rural life. Snow-Bound (1865) is a masterpiece. It was followed by The Tent on the Beach (1867), Among the Hills, Miriam, and a number of other slight poems, all showing the author's purity of spirit and lyric grace. Mr. Whittier bas also published two volumes of his collected prose writings, besides editing John Woolman's Journal.